Continental MaxContact MC6 provides max benefits for your car including safety, confidence and value. Continental MaxContact MC6 provides max benefits for your car including safety, confidence and value. 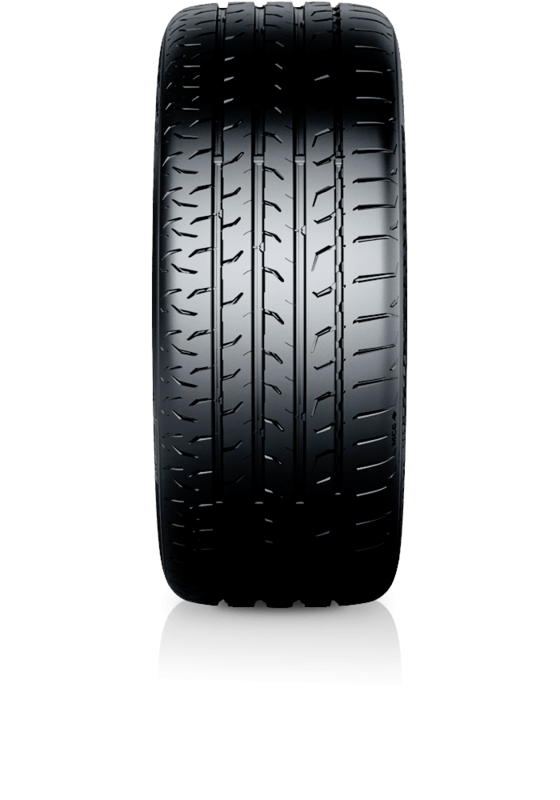 Dedicated areas on MaxContact™ MC6's tread design deliver high levels of performance from the tyre. These features cover all four directional forces that are applied to the tyre tread. The stabiliser bars enhance handling and cornering grip whilst the asymmetric rib geometry maximise cornering response. The tread features Chevron Grip Elements that allow even pressure distribution during cornering resulting in enhanced grip, better wet braking and handling. To achieve faster dry braking and efficient traction for acceleration, the longitudinal ribs are engineered to avoid block distortion by transferring circumferential forces efficiently to the road. The MC6 delivers a comfortable driving low noise ride with Continental's latest Noise Breaker technology.